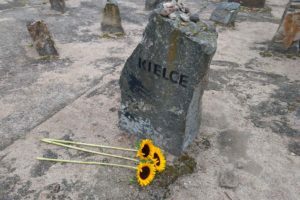 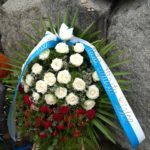 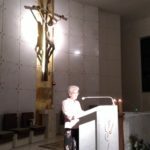 The main celebrations of this year’s 76th anniversary of the extermination of the Kielce ghetto took place on Friday, August 24. 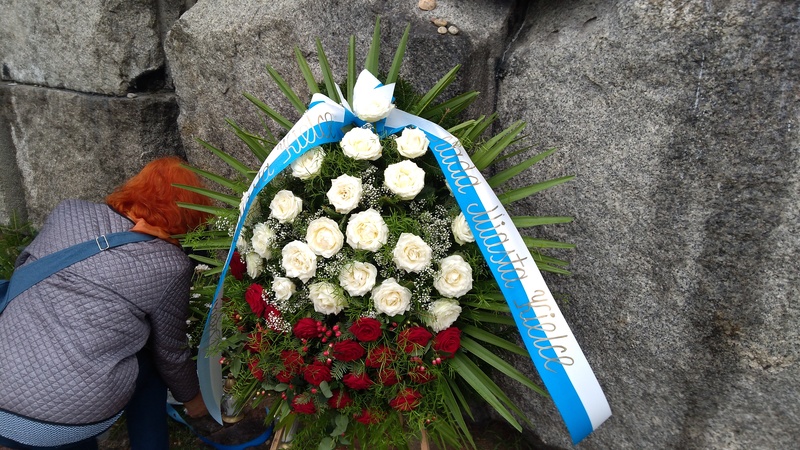 During the short ceremony, candles were lit at the Menor monument. 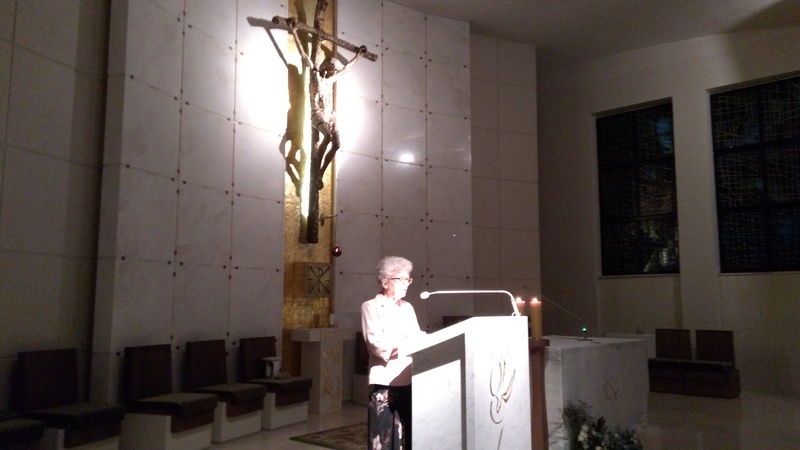 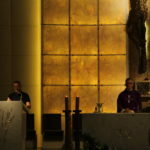 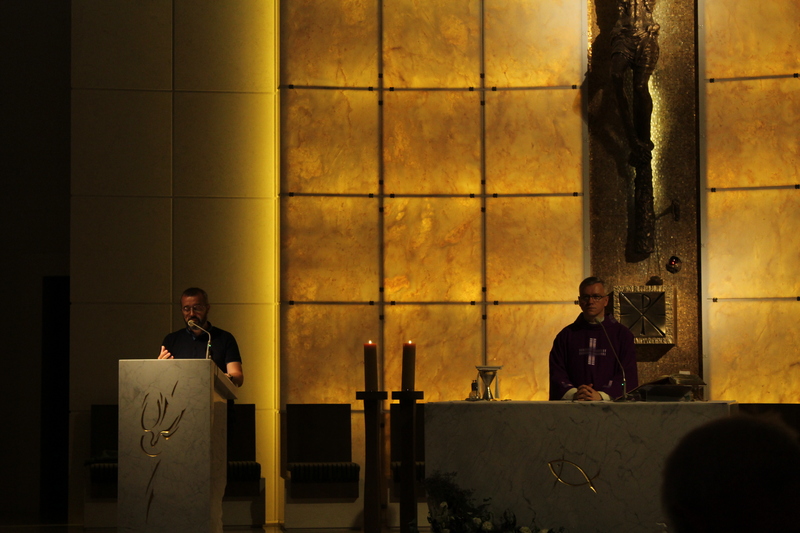 Then in the Church dedicated to St. Pope John Paul II celebrated Holy Mass for the victims, and the Oświęcim Way of the Cross, during which the participants considered the Way of the Cross. 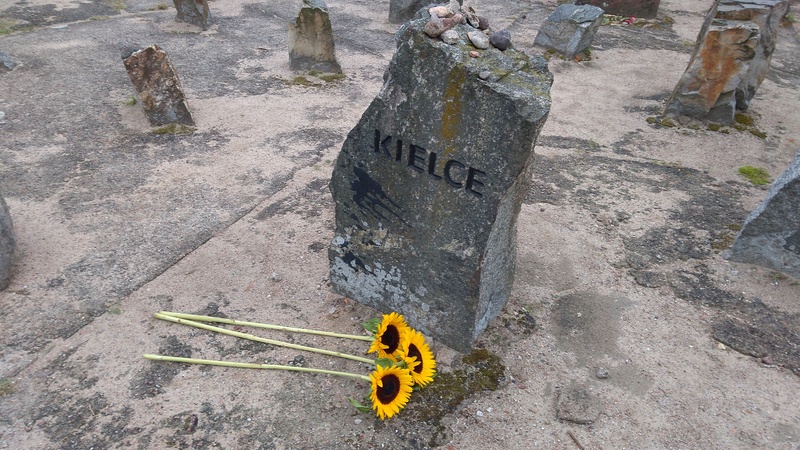 These remarkable texts were complemented by the testimonies of survivors from the Kielce ghetto. 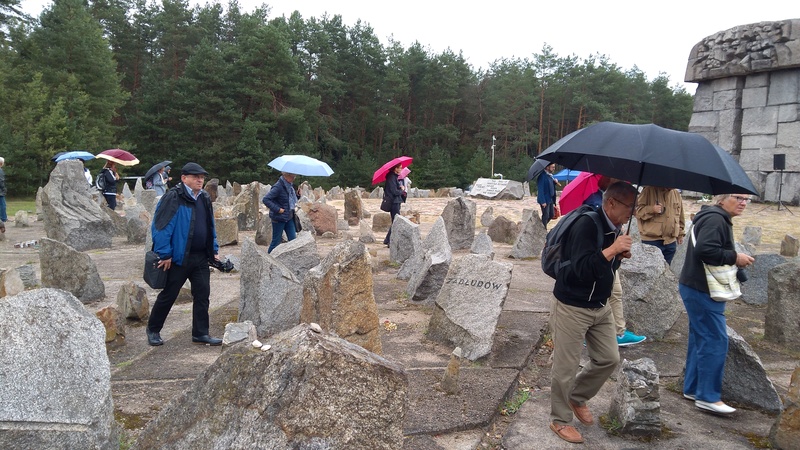 On August 26, at the Museum of the extermination camp in Treblinka, a group of Kielce, who took part in a memorial pilgrimage organized by our association, commemorated 24,000 Jews from the Kielce ghetto murdered by Germans in August 1942. A wreath from the City Council of Kielce and the President of Kielce was placed in front of the Monument to the Victims of the Death Camp in Treblinka. 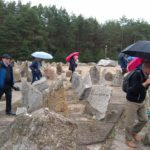 Next to the monument, the place of the extermination camp commemorates 17,000 stones of various sizes symbolizing the matzeva. 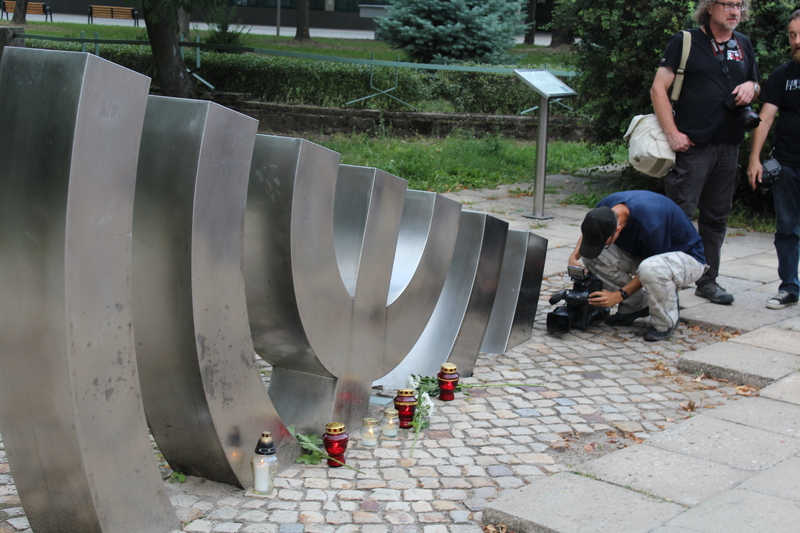 On 216 of them, the names of cities whose inhabitants were sent to Treblinka were printed. 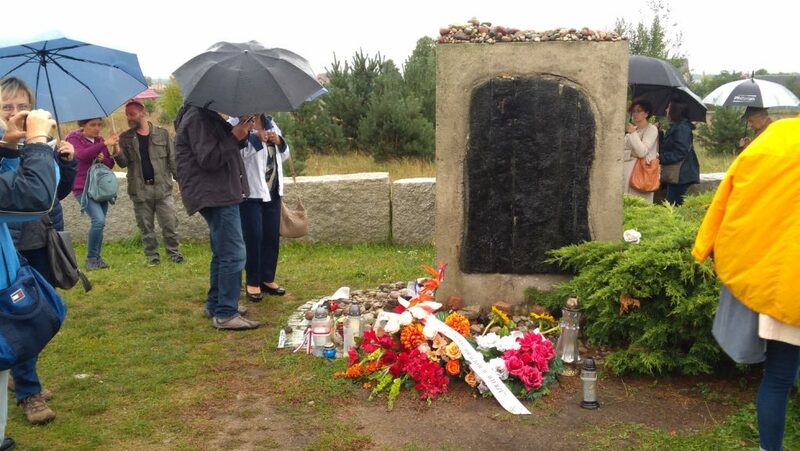 Among them, a stone with the inscription “KIELCE” engraved on which the participants of the pilgrimage prayed. 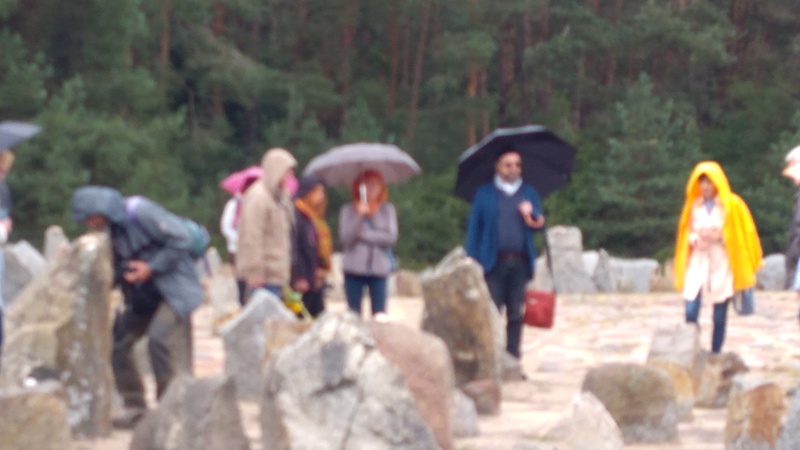 Participants of the pilgrimage were also in the place of the murder of Jews in Jedwabne. 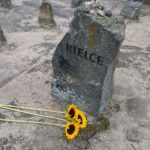 As noted by Bogdan Białek, president of the Association, the presence of Kielce in this place is of extraordinary importance. 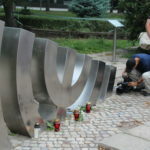 Both towns have become symbols of anti-Semitism, although these two terrible stories are different. 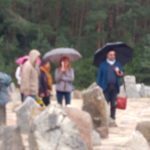 The trip was possible thanks to the support of the municipal office in Kielce.